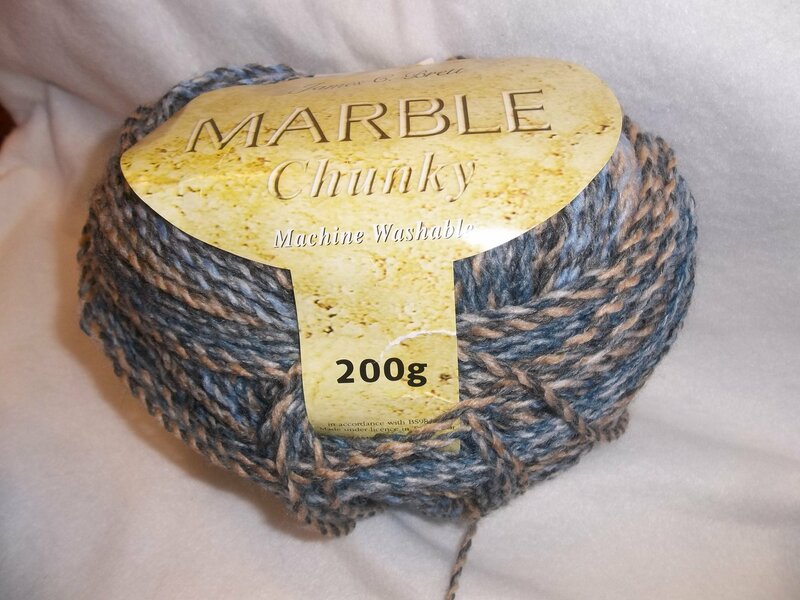 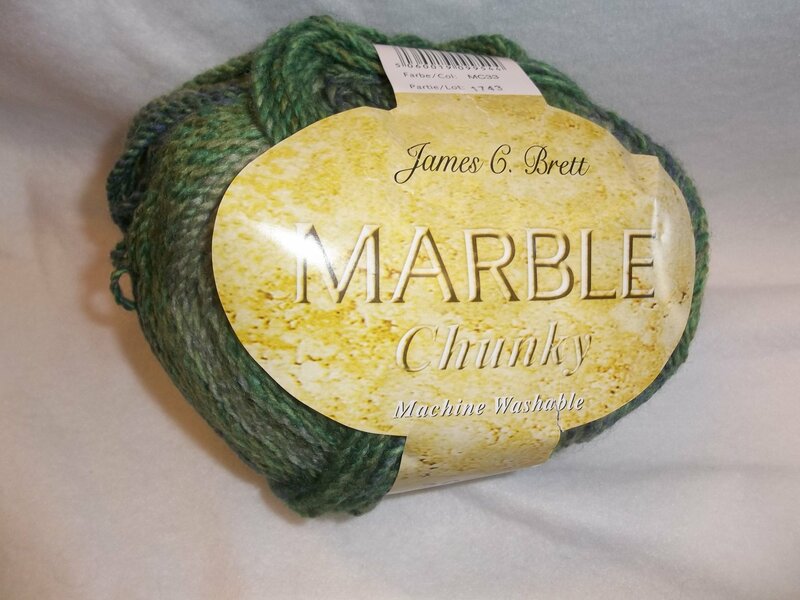 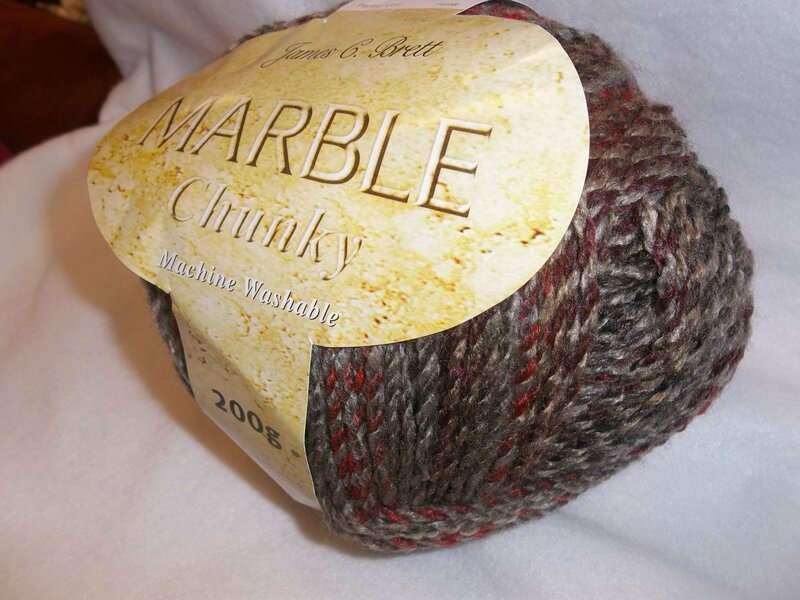 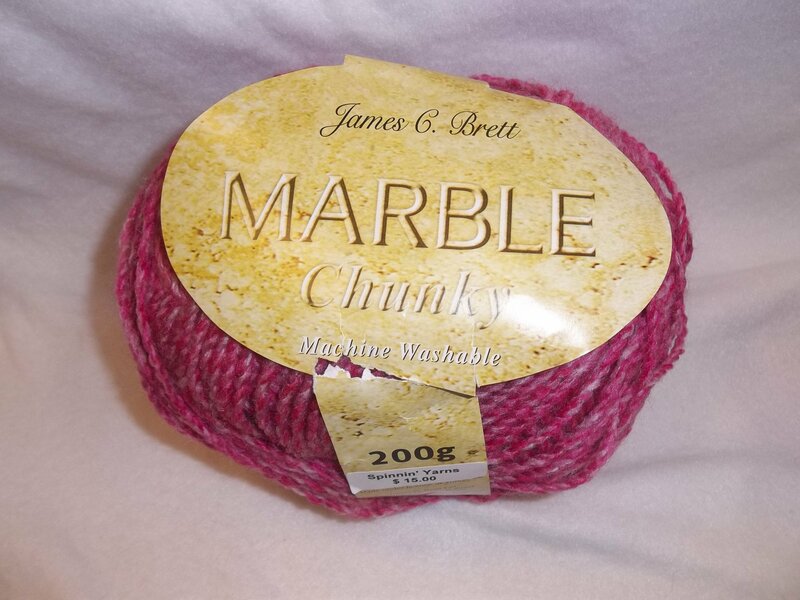 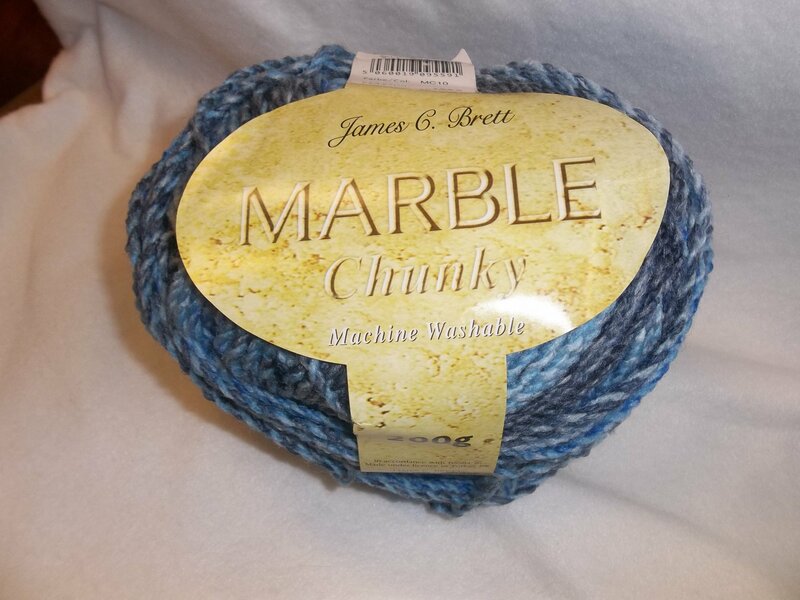 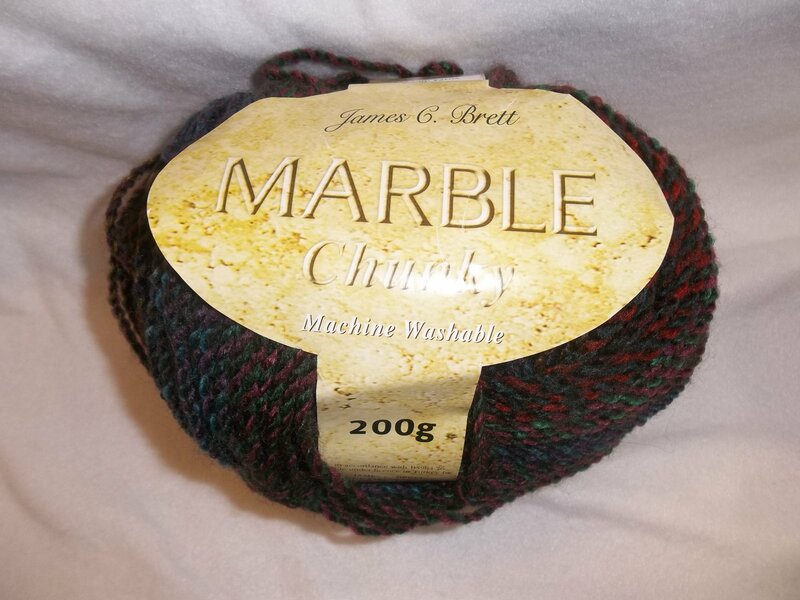 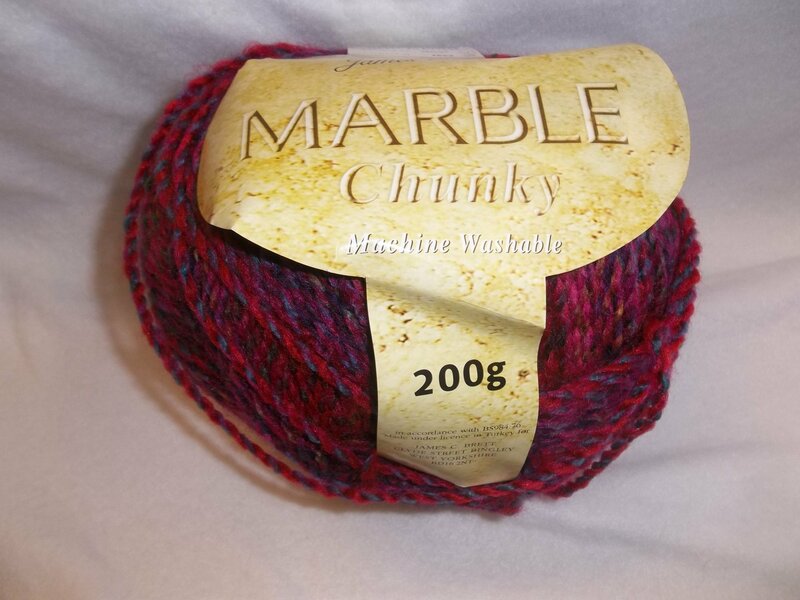 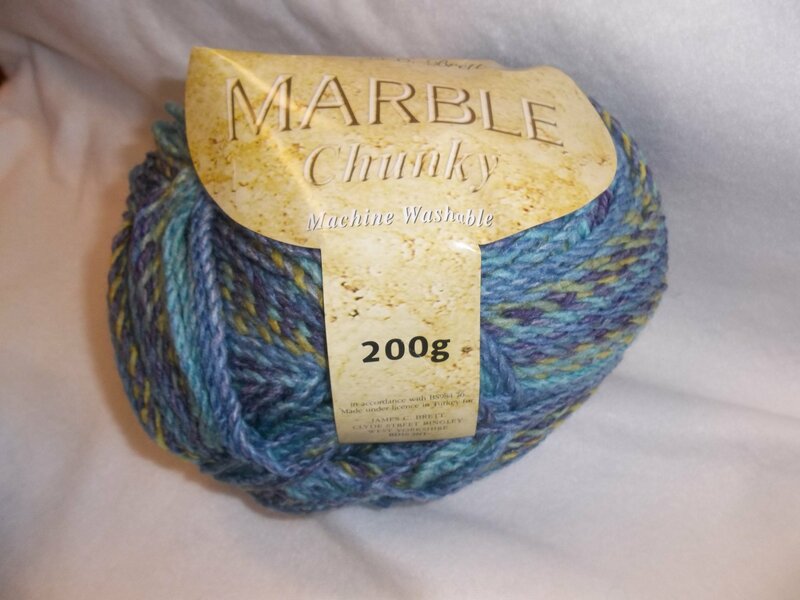 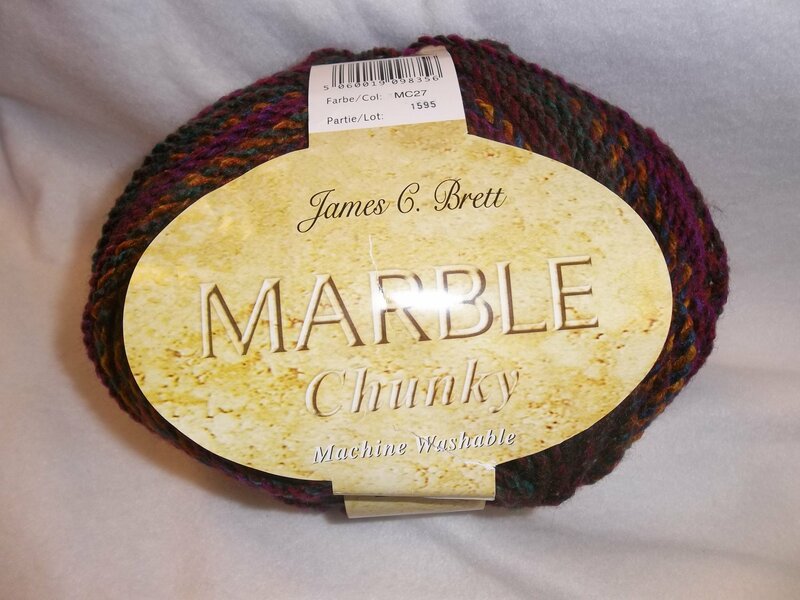 Marble Chunky is a self-striping, 100% acrylic yarn in chunky weight. 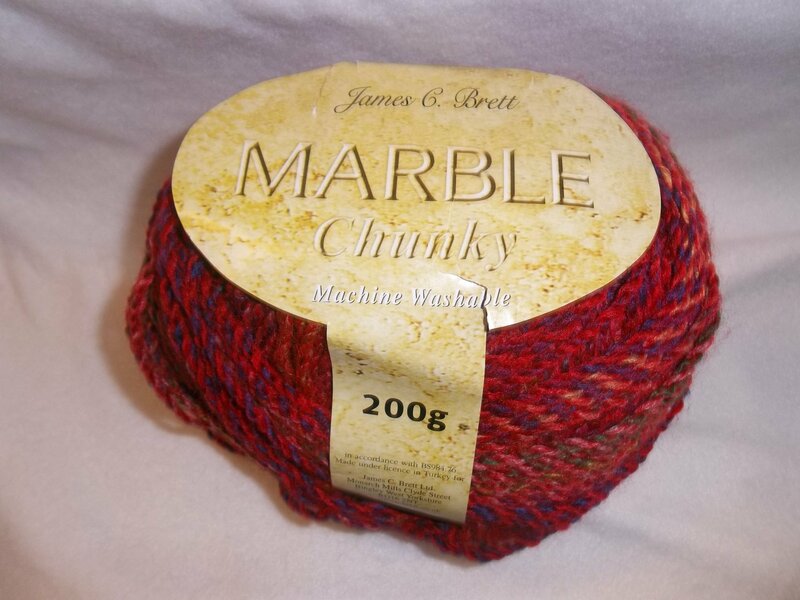 Each skein contains 341 yds./312m. 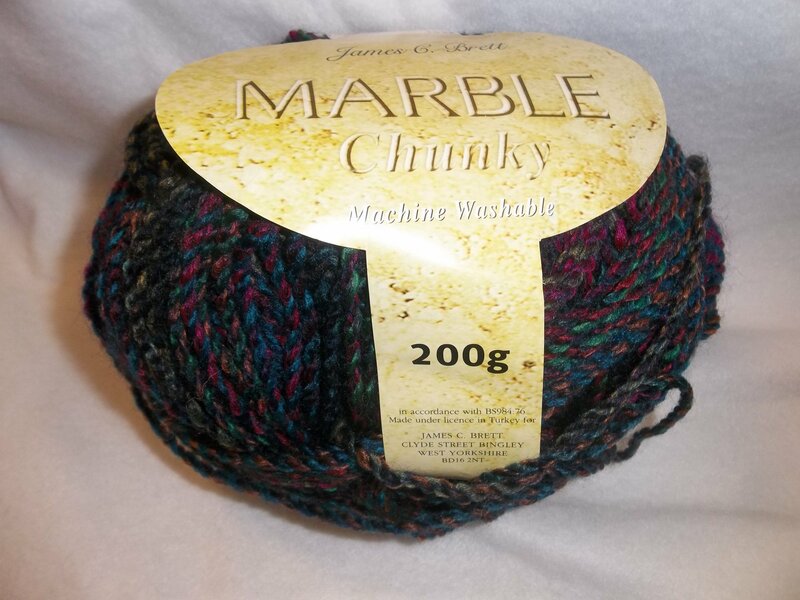 Suggest needle size is a size 6mm or US10.